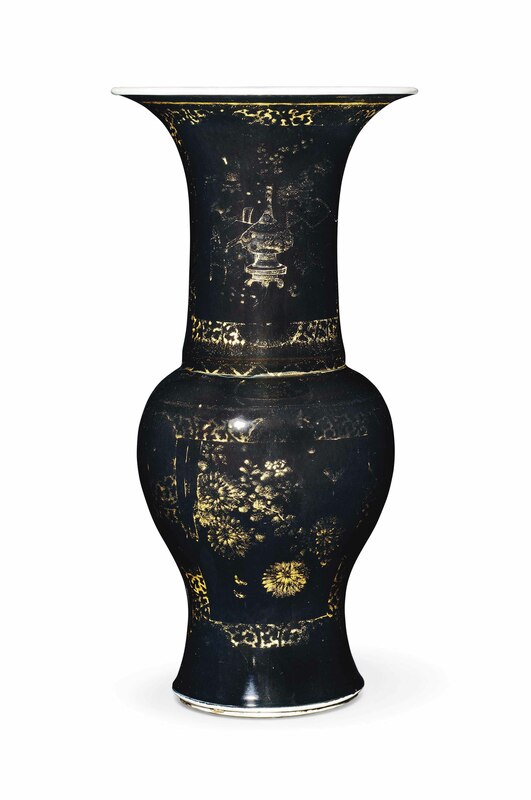 The exterior is covered with a rich, lustrous glaze with traces of gilt decoration depicting prunus branches and chrysanthemum, with a geometric band to the rim. The interior and base are glazed in white, an underglaze blue double circle to the base. Acquired in France on 3 November 1997.